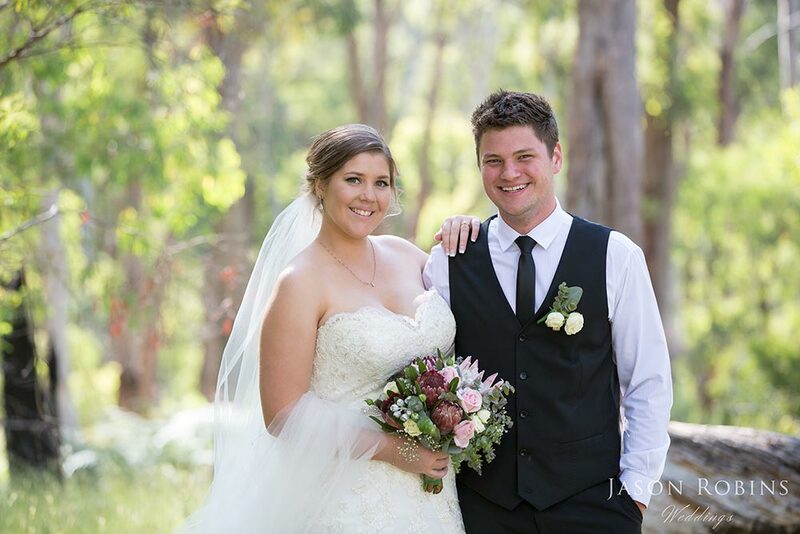 We had the pleasure of meeting Ashleigh at a Bridal Expo in 2012 and captured Ash and Peter’s Engagement shoot earlier last year. 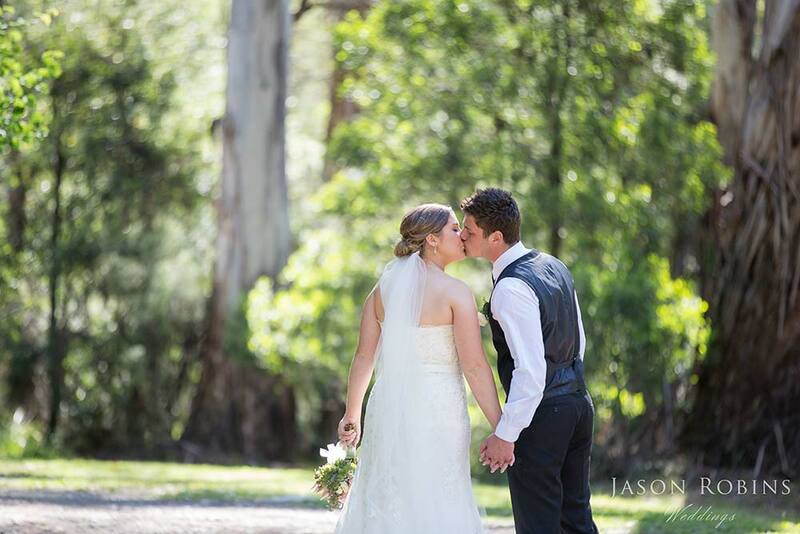 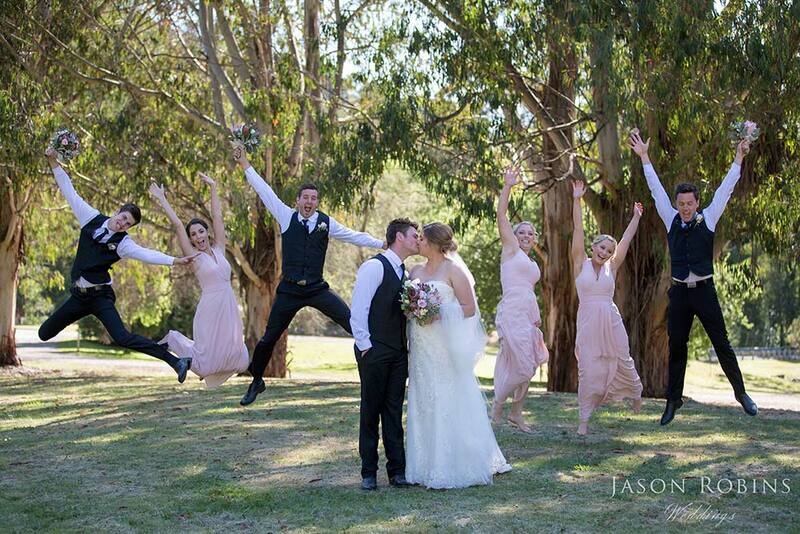 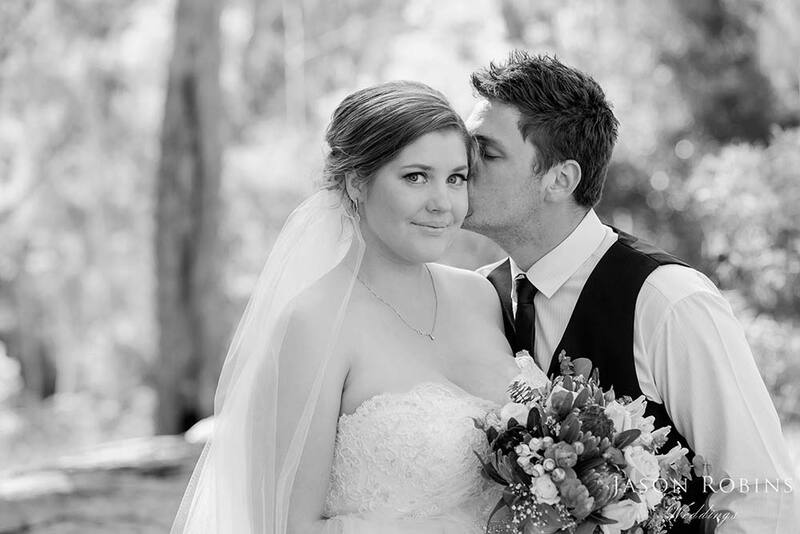 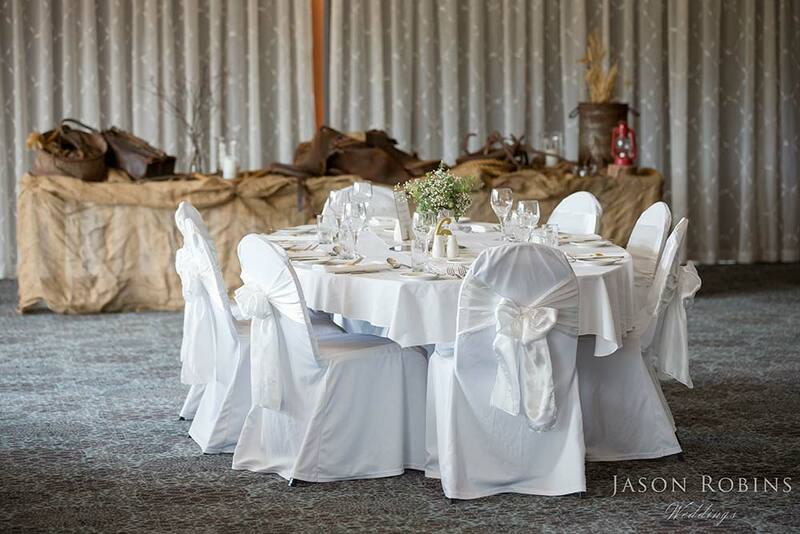 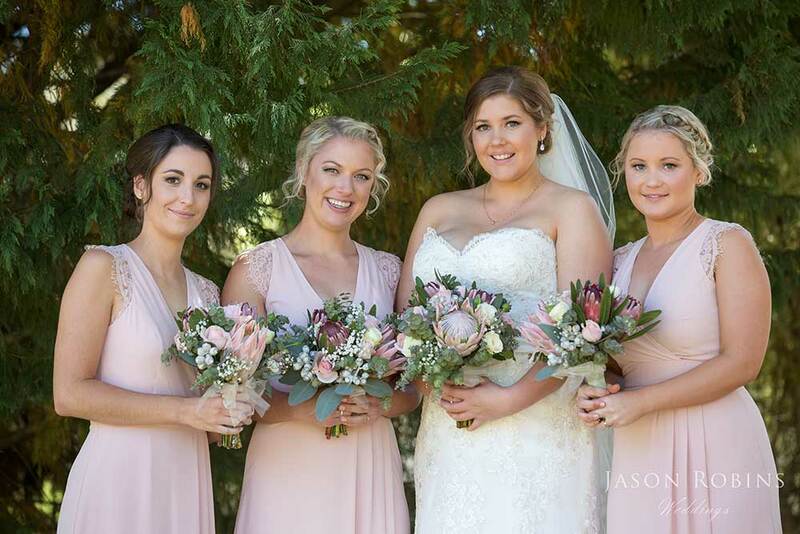 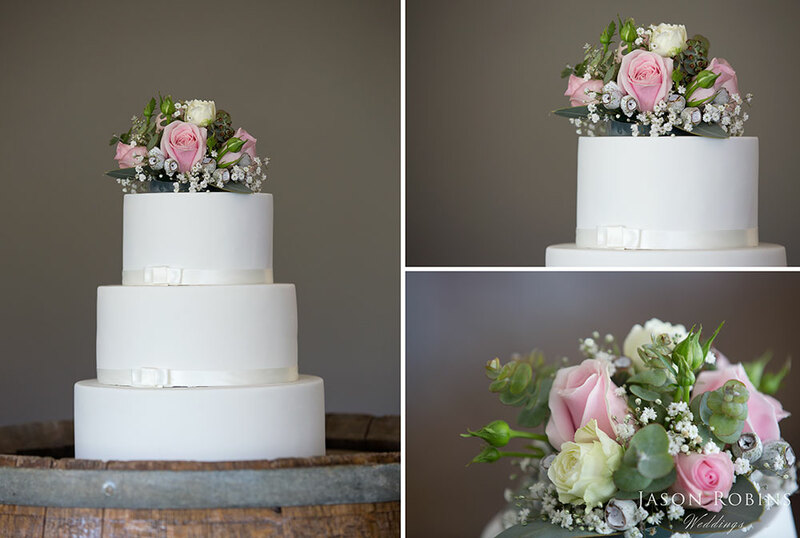 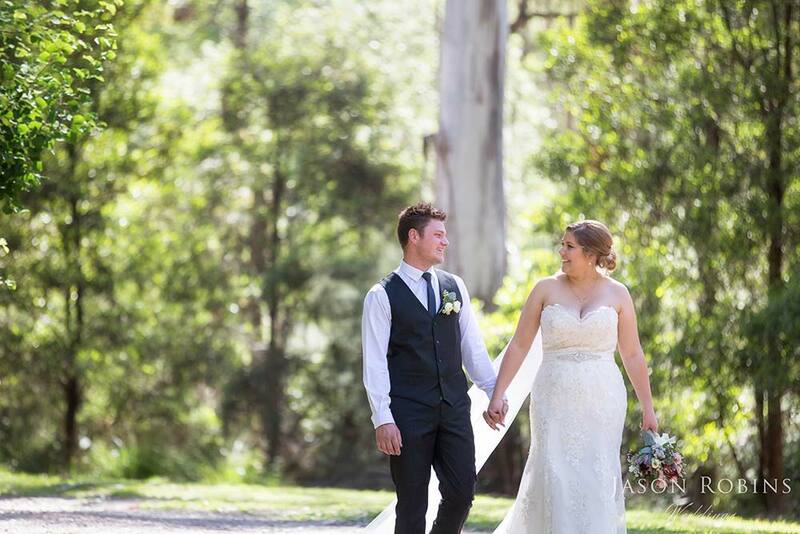 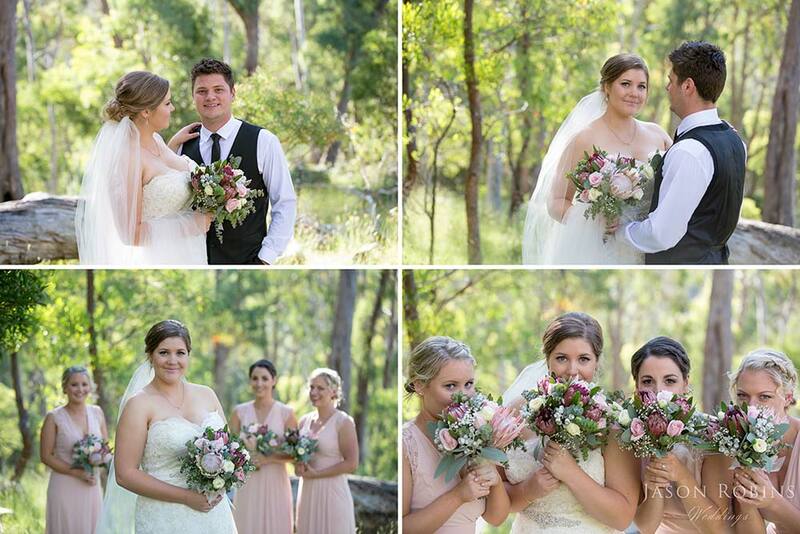 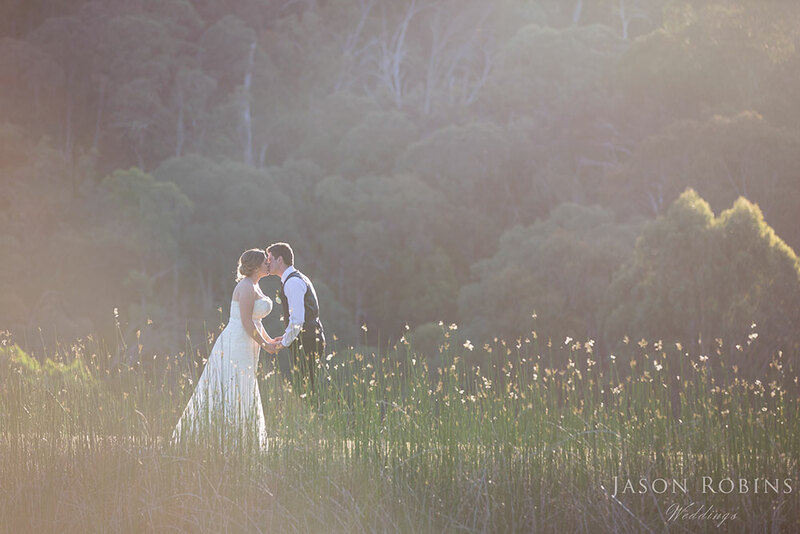 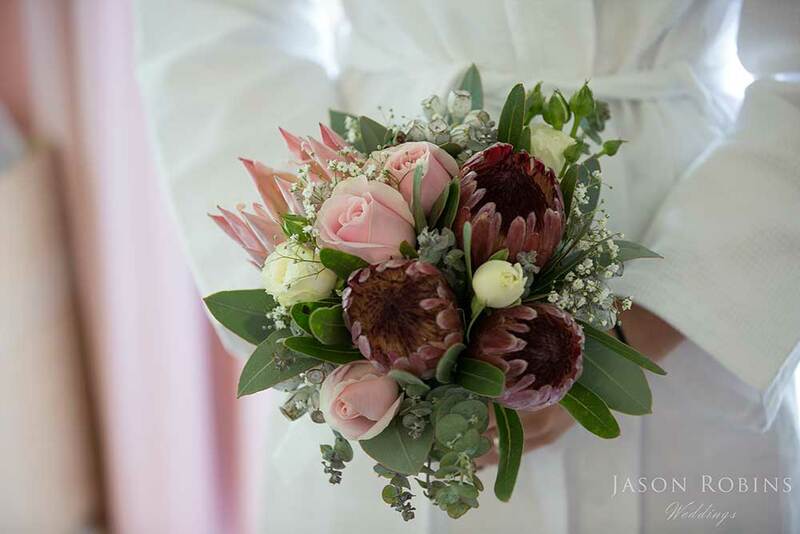 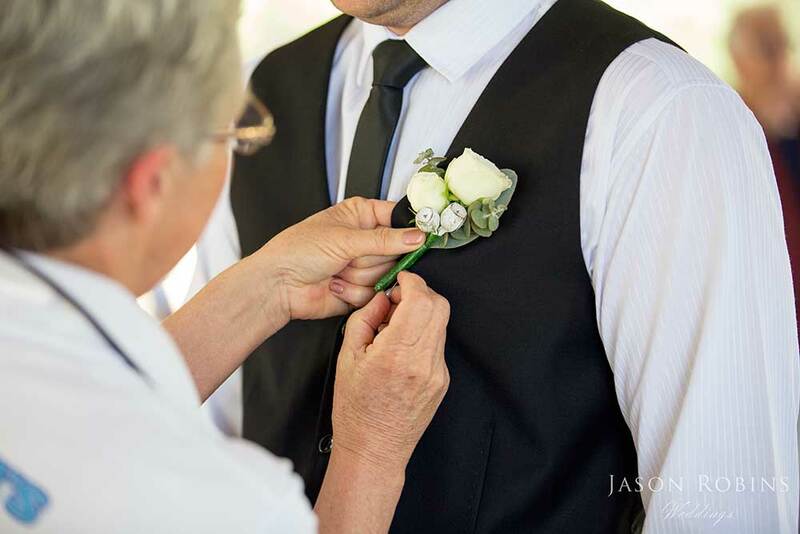 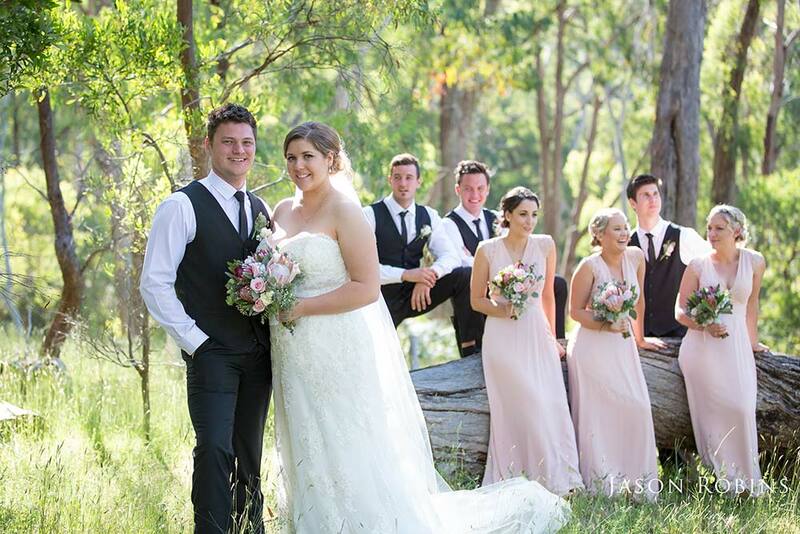 It was a remarkable day and were thrilled to be a part of their Sebel Pinnacle Valley Resort Wedding. 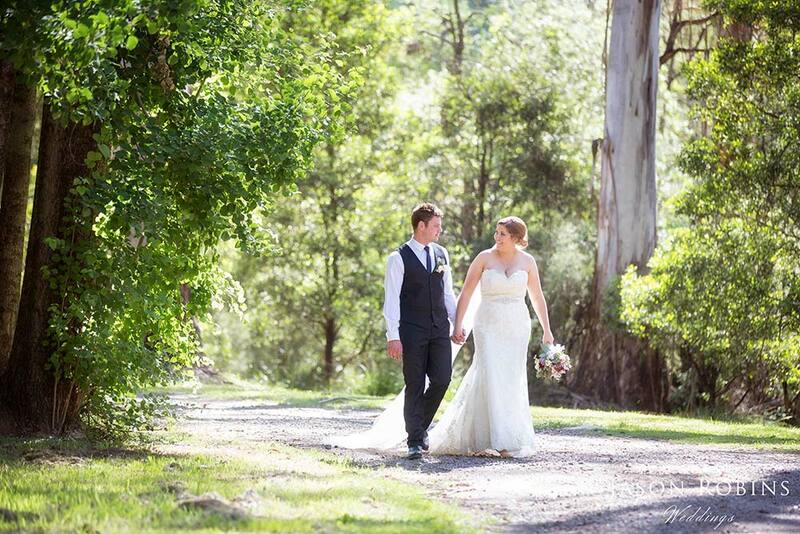 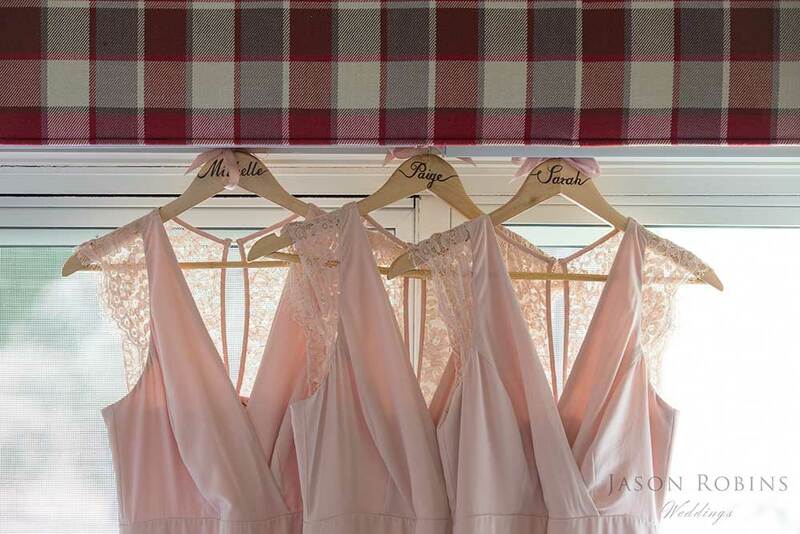 Congratulations on a stunning day and we hope your images bring many happy memories for years to come. 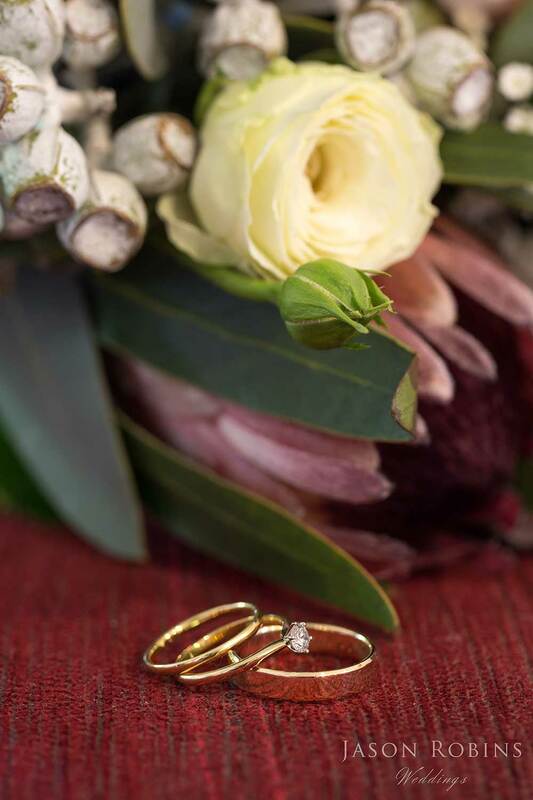 After being together for five years and engaged for two, Peter and I knew exactly what we wanted when it came to our wedding… and by ‘we’ I mean me. 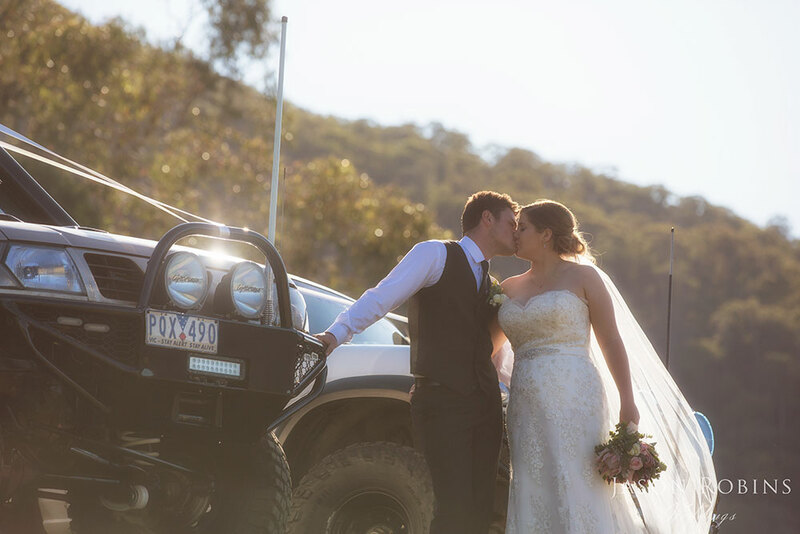 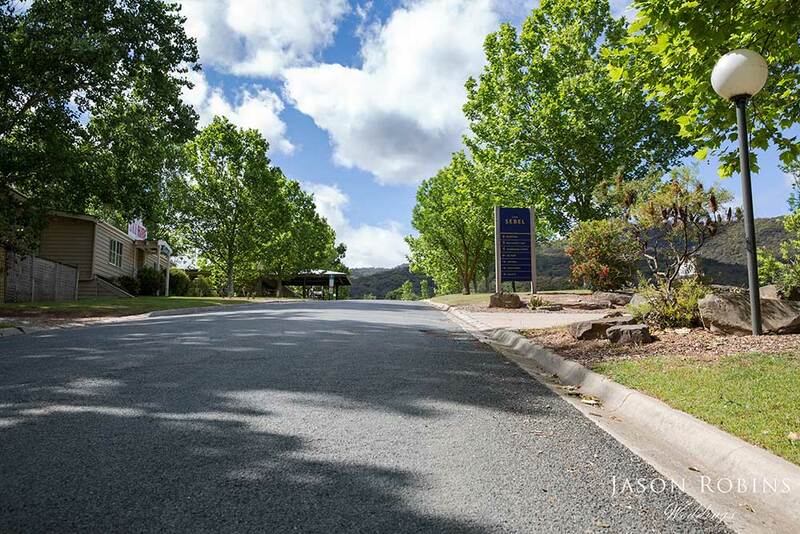 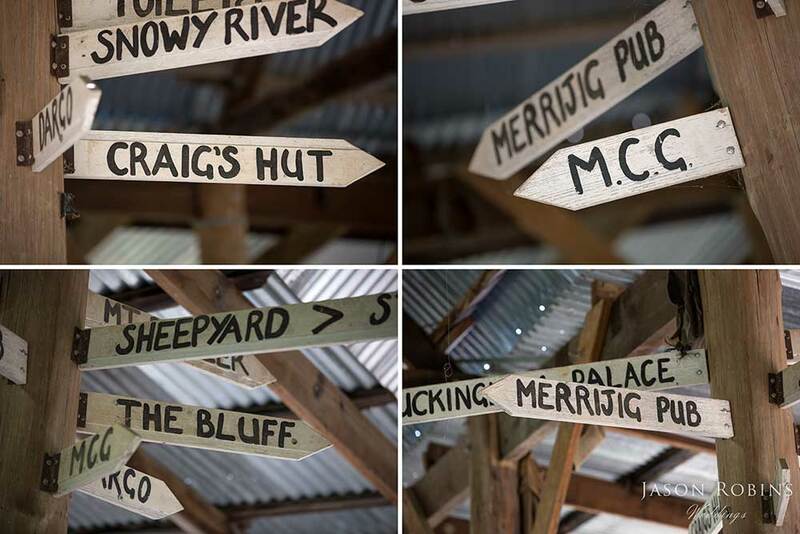 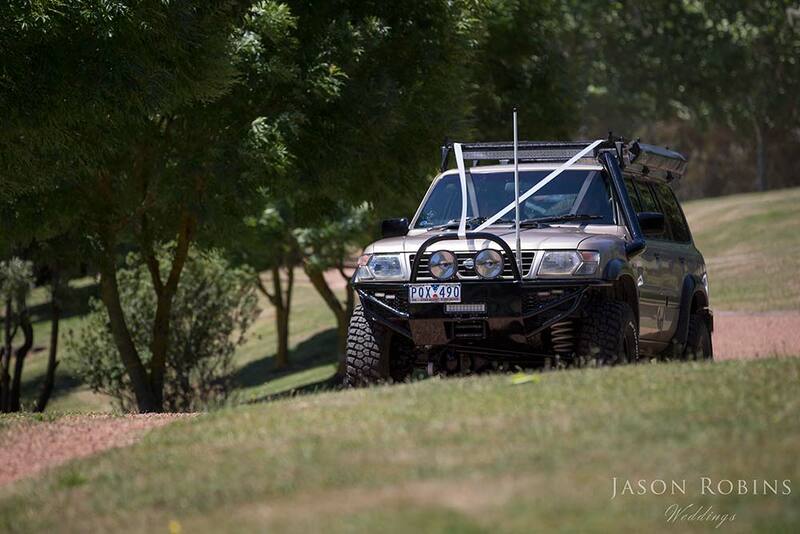 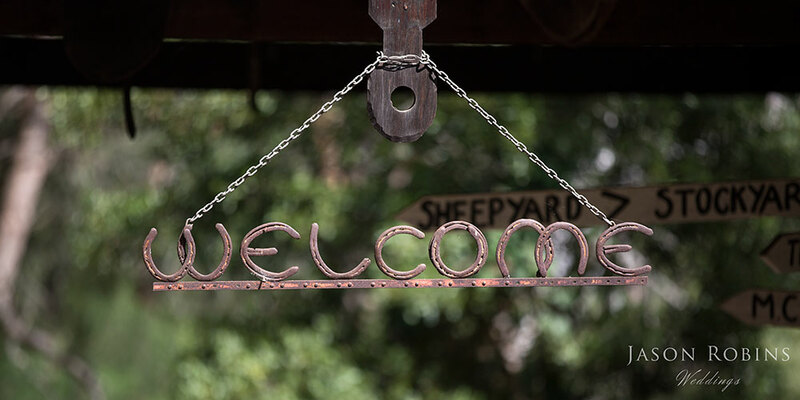 Peter and I both have a love for camping and four-wheel driving in the high country, which was why we didn’t look any further than the Sebel Pinnacle Valley Resort for our venue. 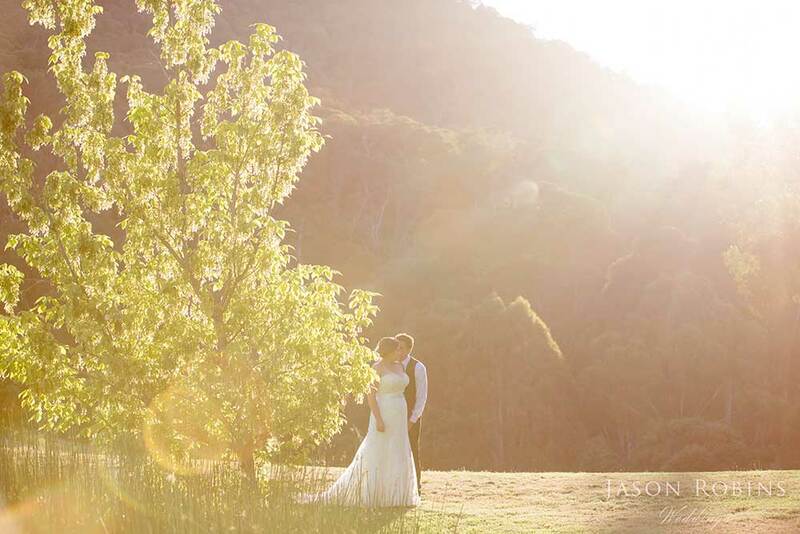 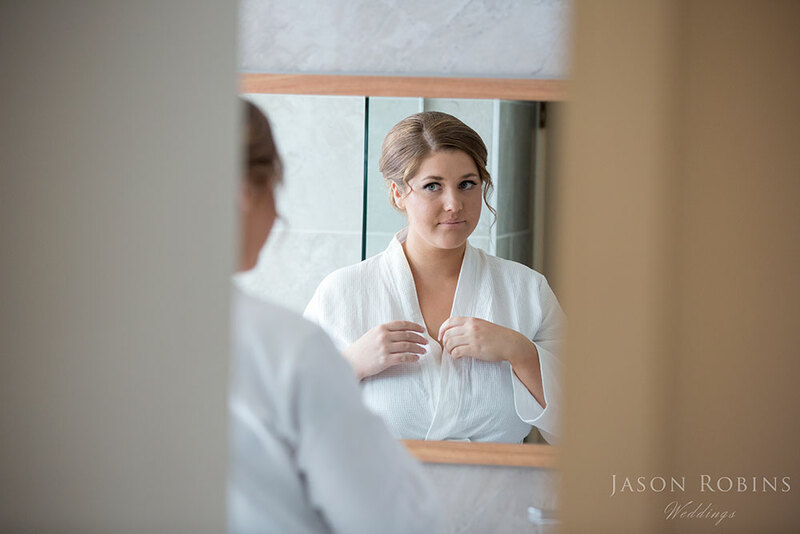 The resort perfectly suited our need for a laid-back country theme, accommodation for all of our guests and gorgeous backdrops for Jason to work his magic on. 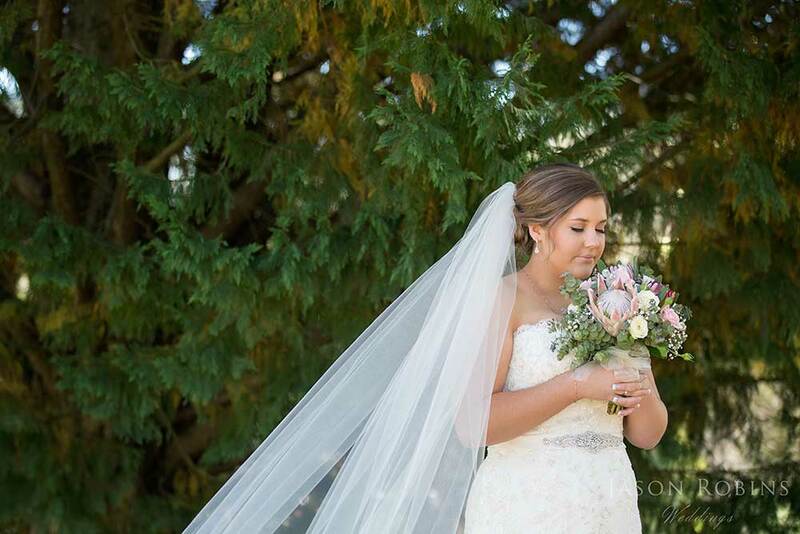 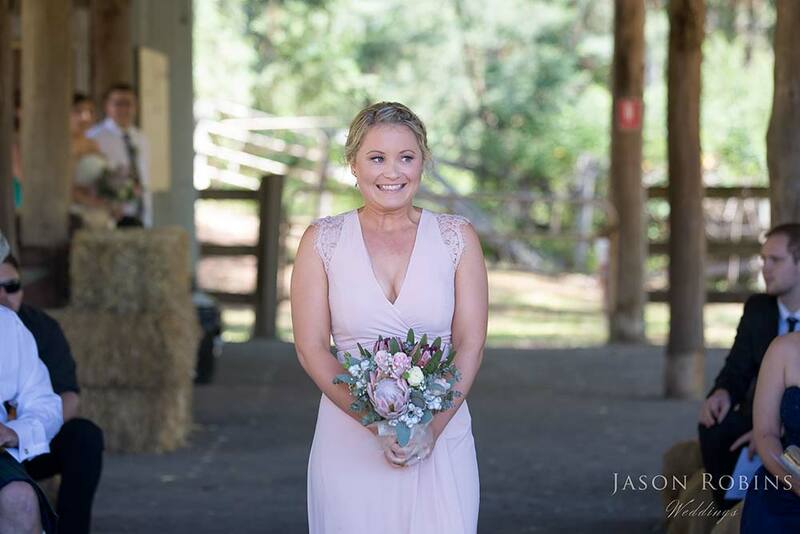 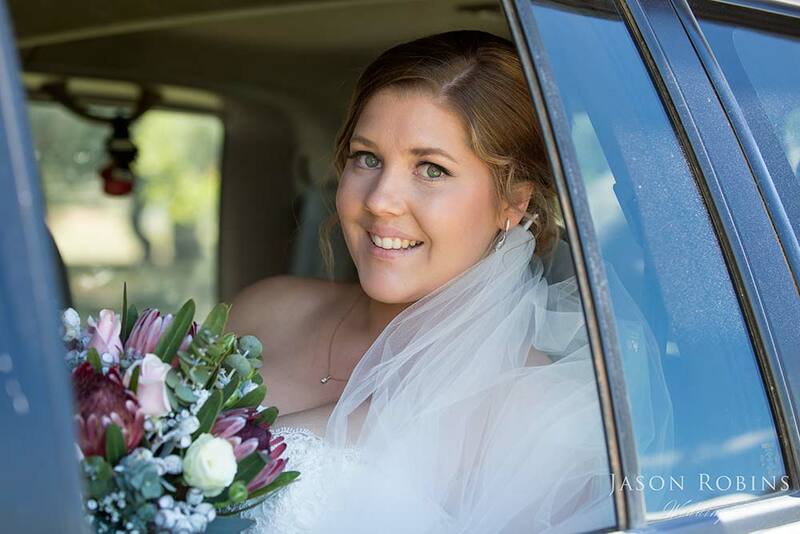 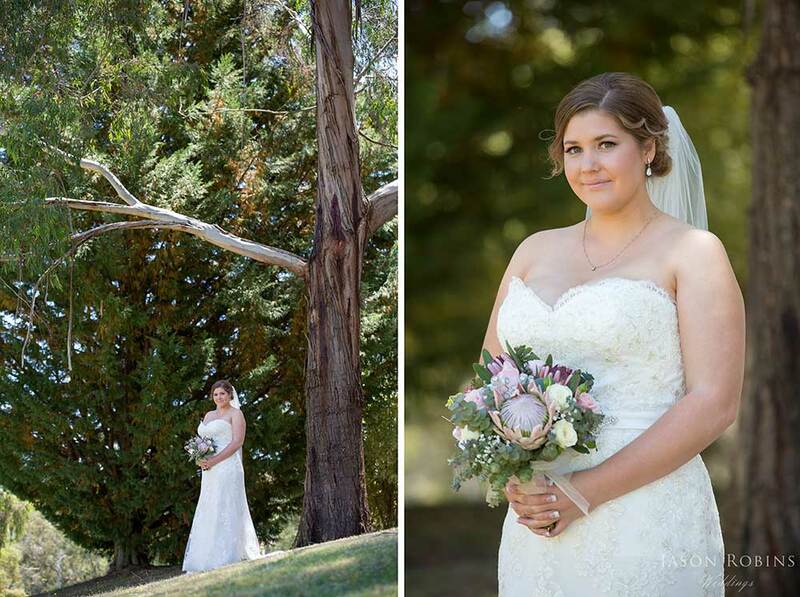 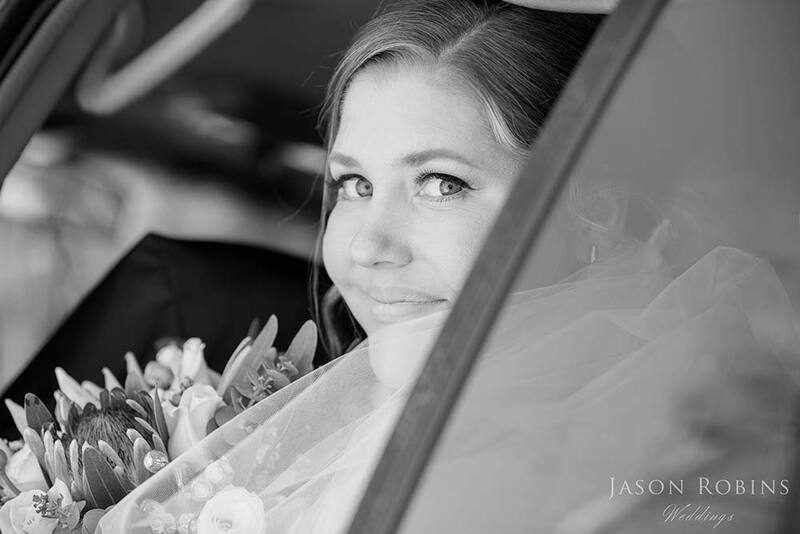 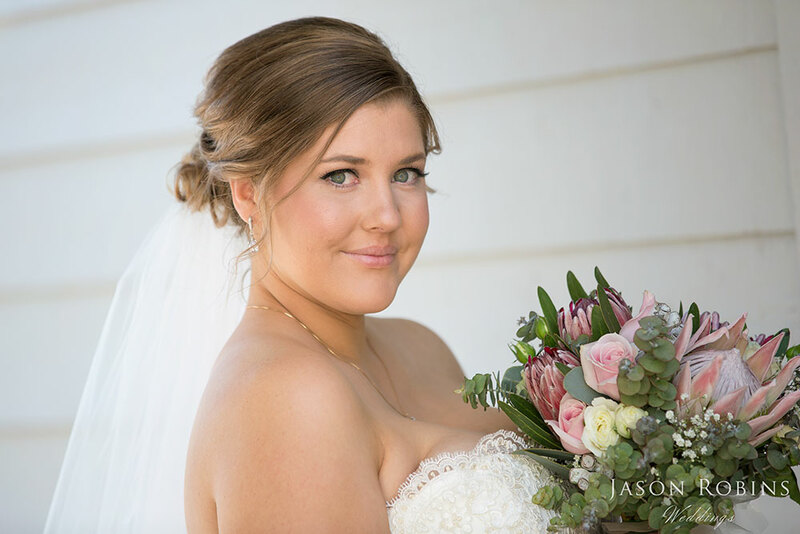 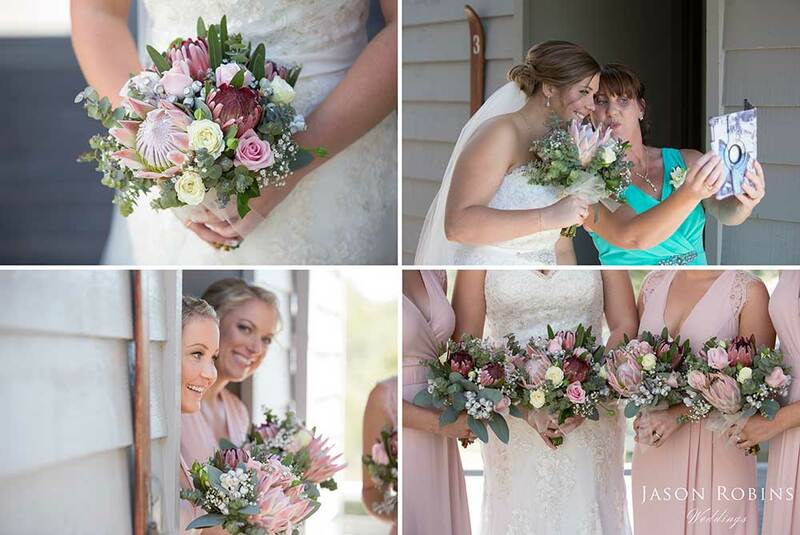 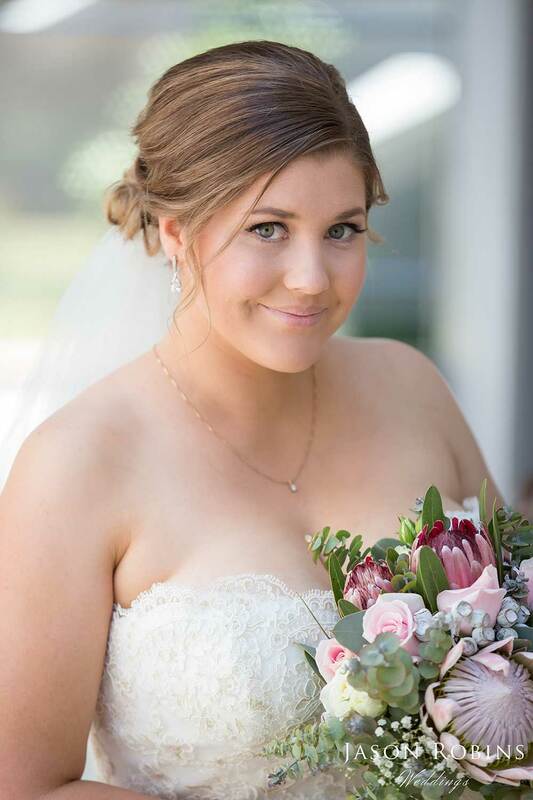 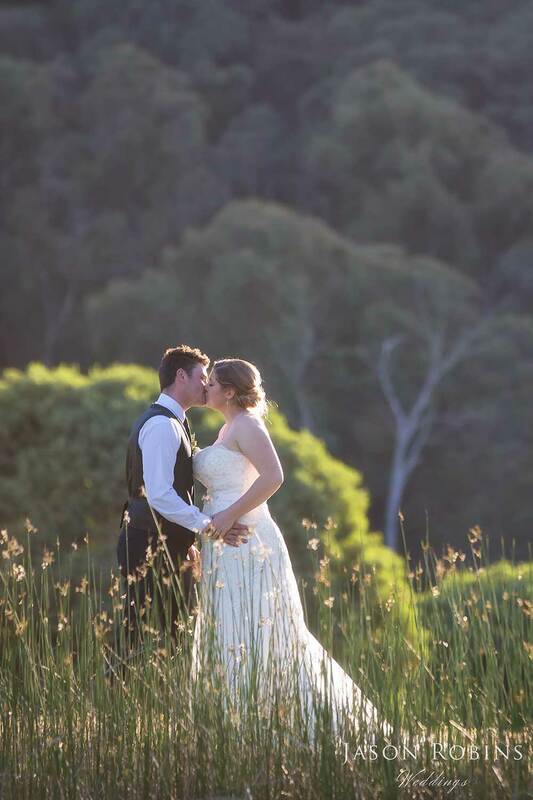 I wore a gorgeous ivory lace dress and held an Australian native inspired bouquet to fit in with the surroundings of the location. 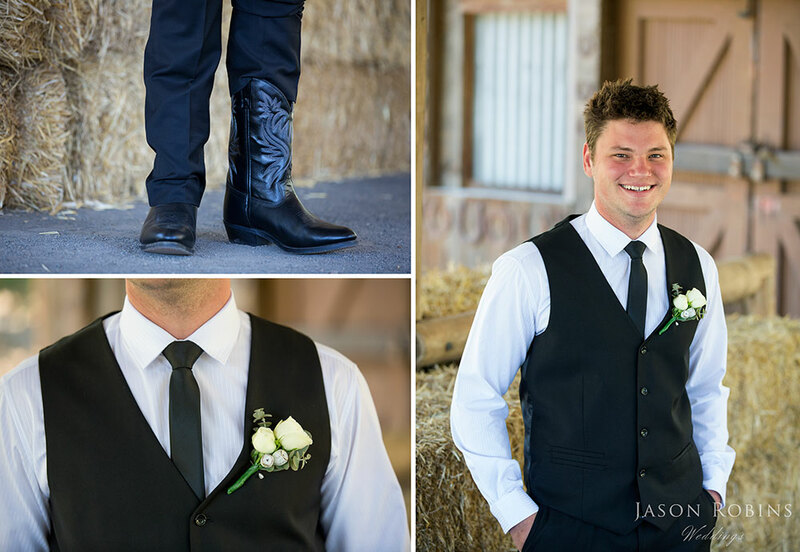 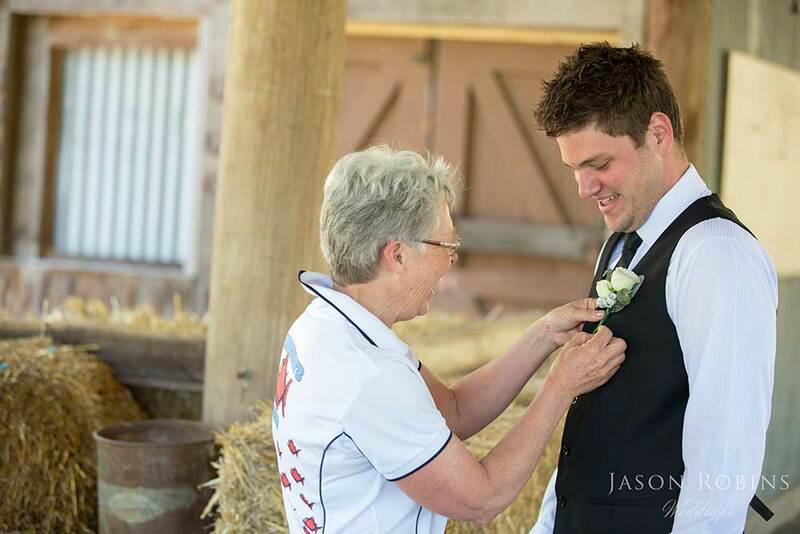 Pete continued the country theme with his shiny black cowboy boots and gum nuts in his boutonniere. 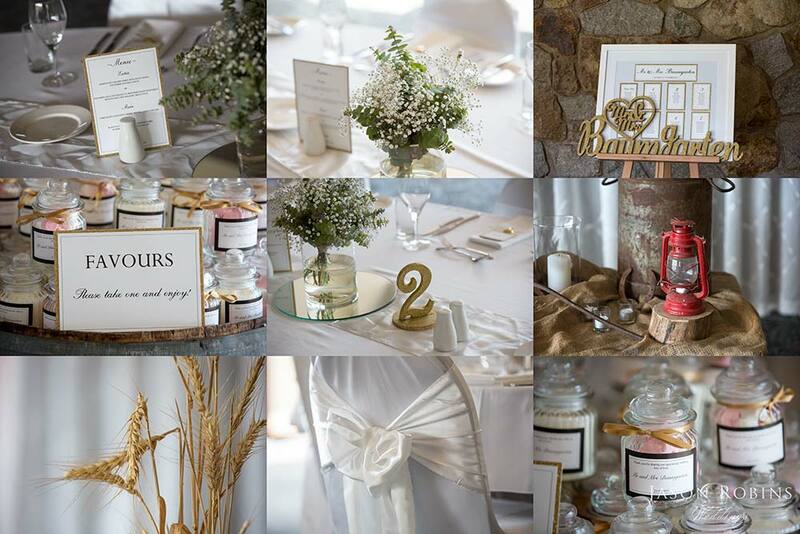 I spent countless hours organising stationary, coordinating colours, preparing table seating charts and decorating table numbers. 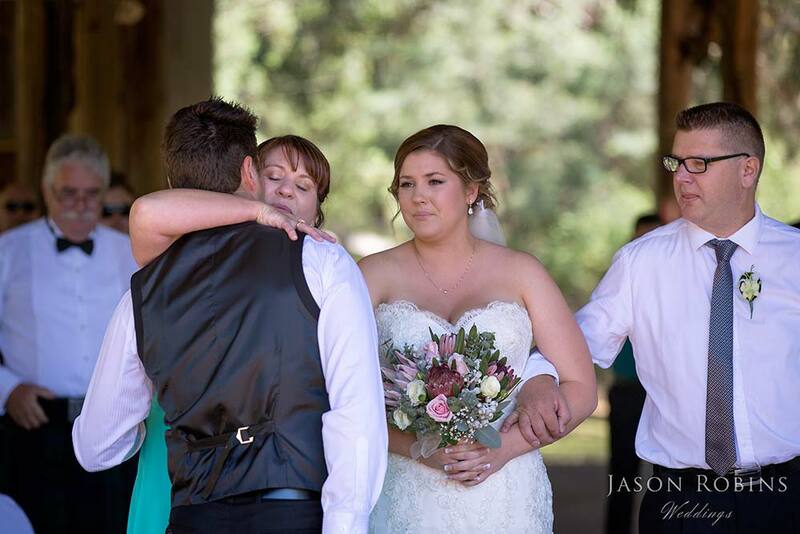 It all came together so nicely, but at the end of the day it was our family that made it an event to remember. 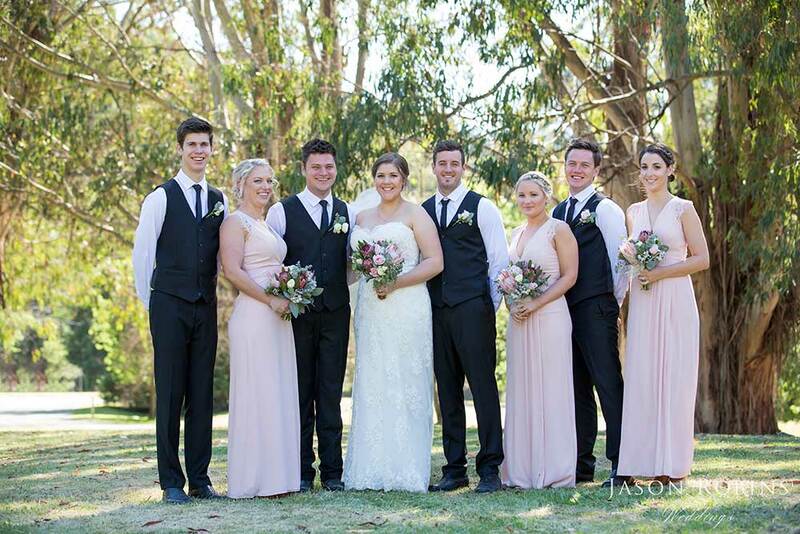 Pete and I decided to keep our wedding very family-orientated, with only relatives and very close friends attending our wedding. 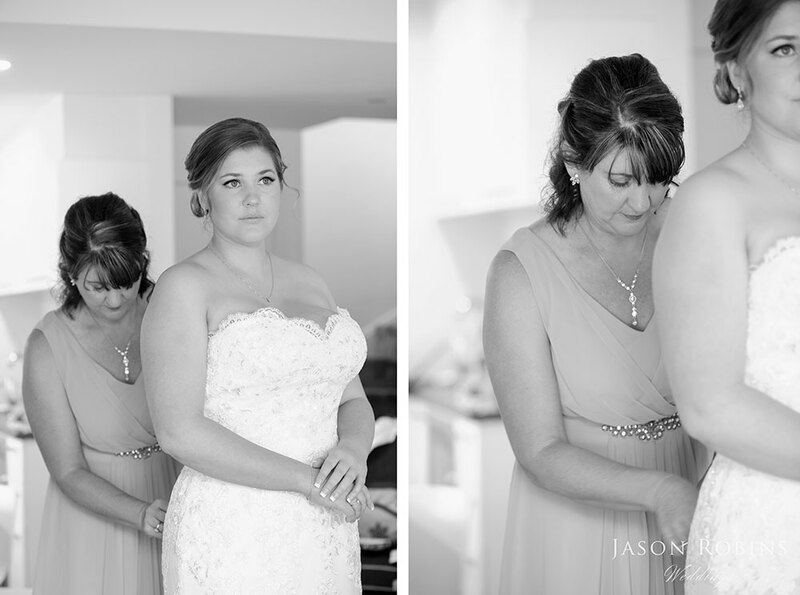 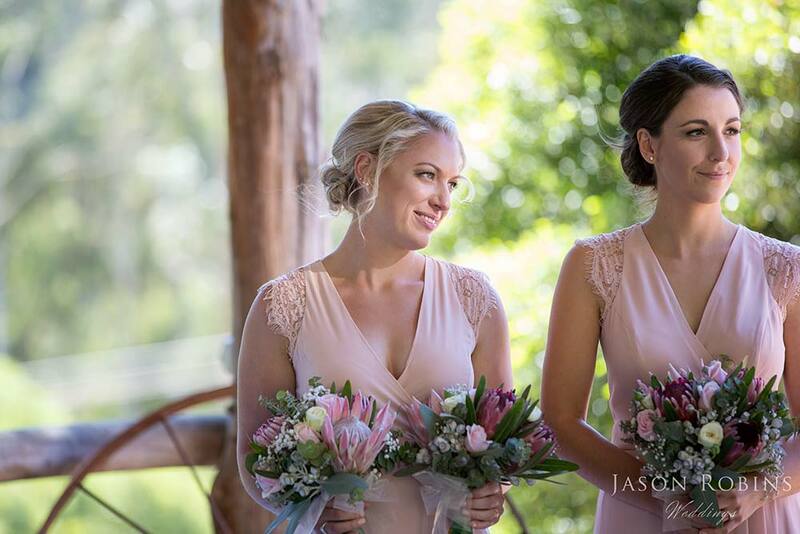 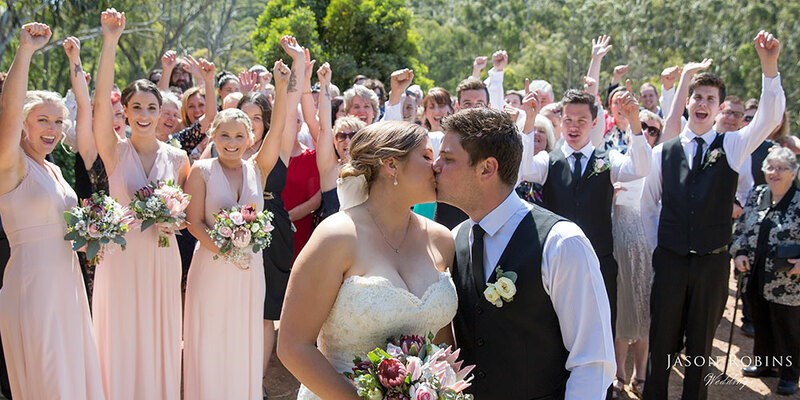 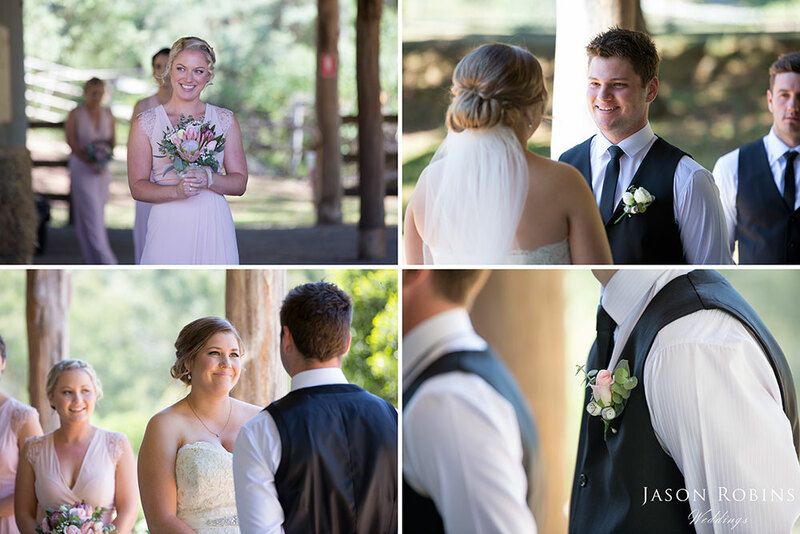 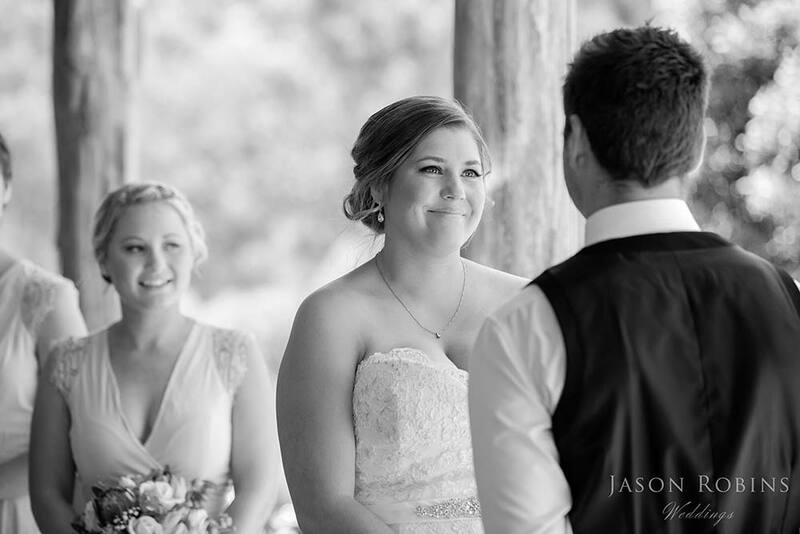 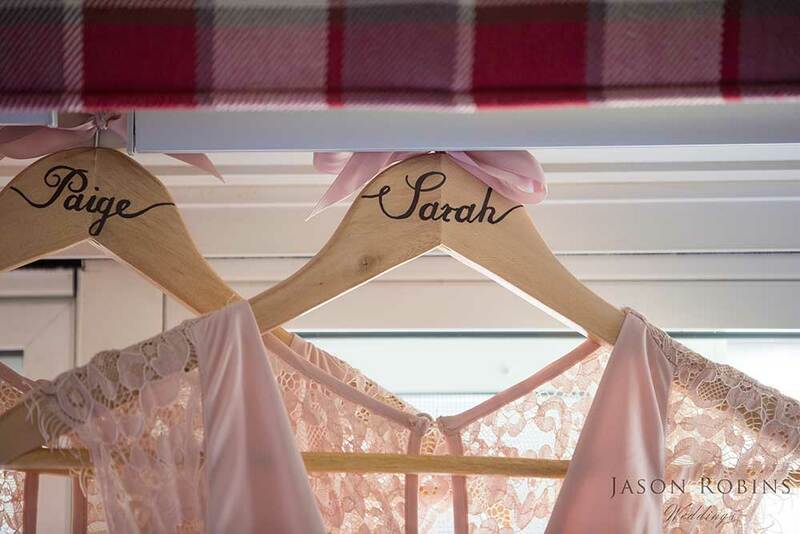 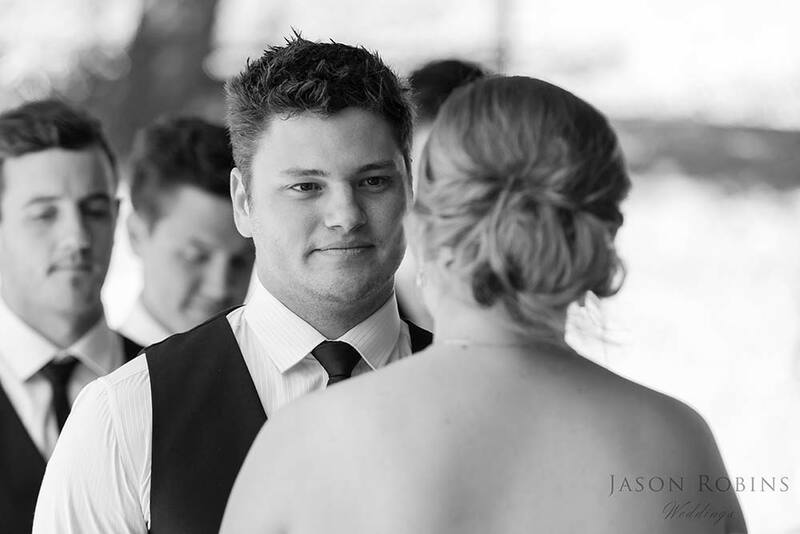 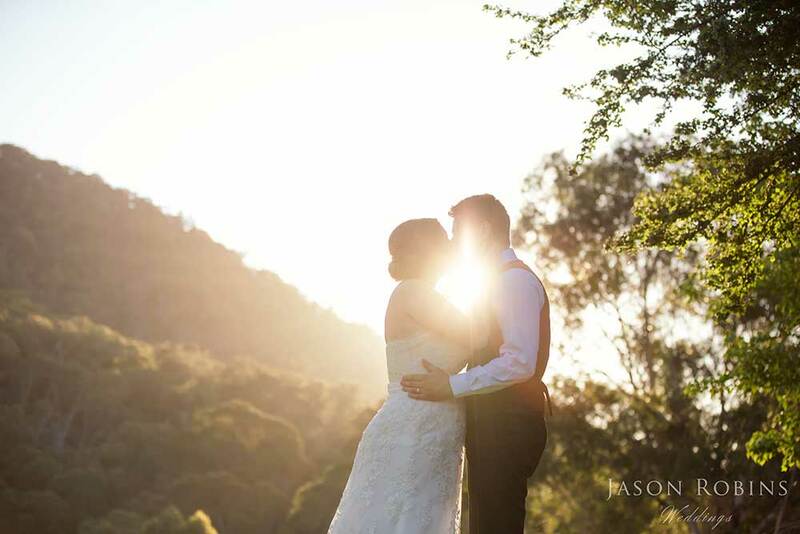 We had a personalised ceremony under the stables at the Sebel Pinnacle Valley Resort. 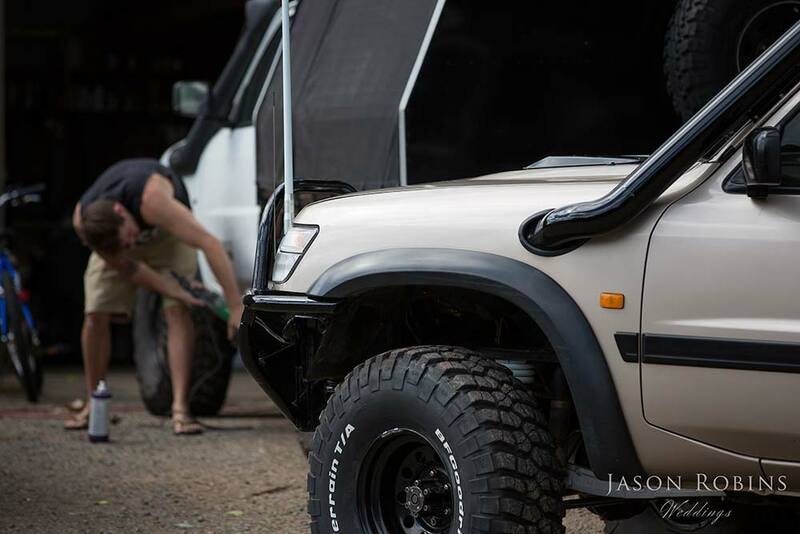 Pete waited patiently (and nervously) as I arrived in his beloved Nissan Patrol. 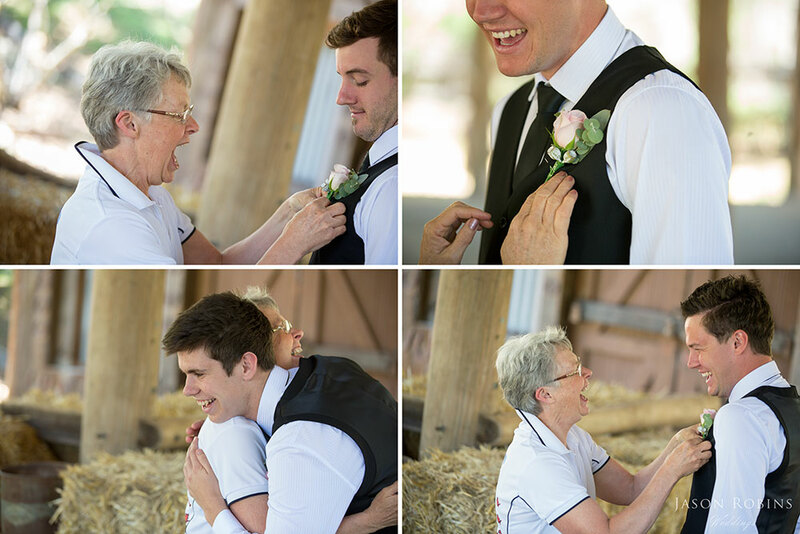 As my parents walked me down the aisle, Pete cried, I cried and guests cried. 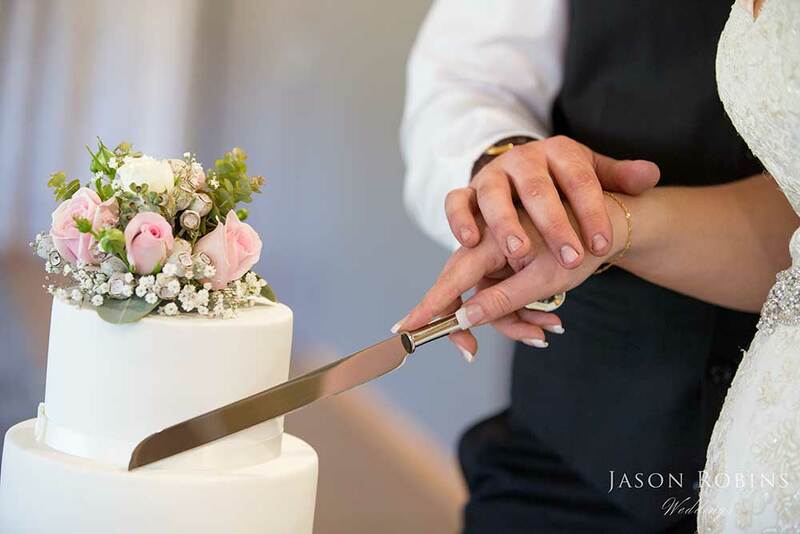 All the legalities went ahead but we managed to make it a ceremony of our own with the help of my lovely Uncle John, who conducted the ceremony. 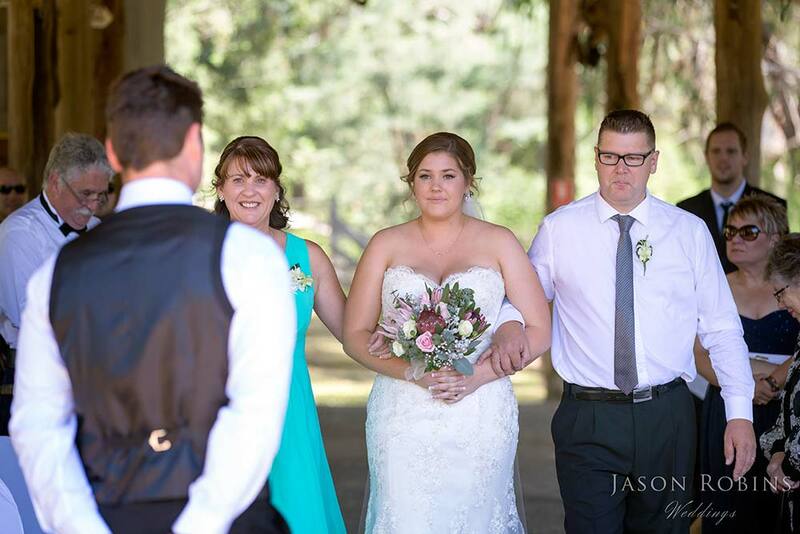 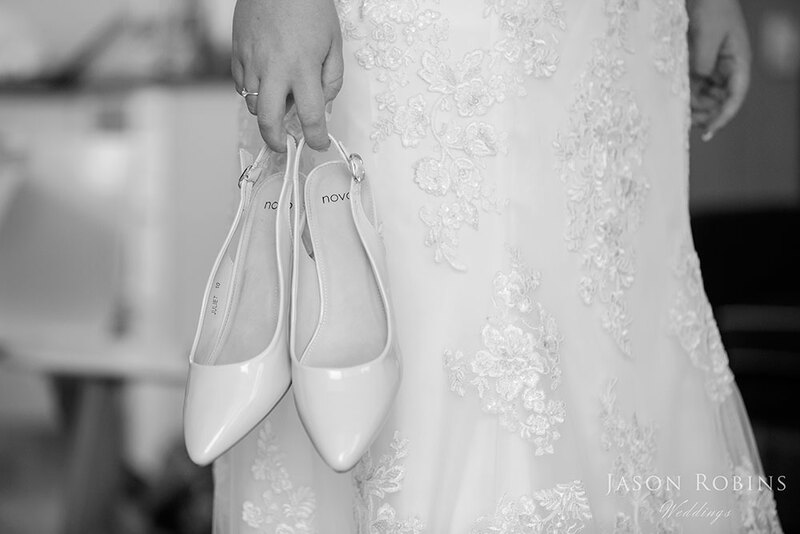 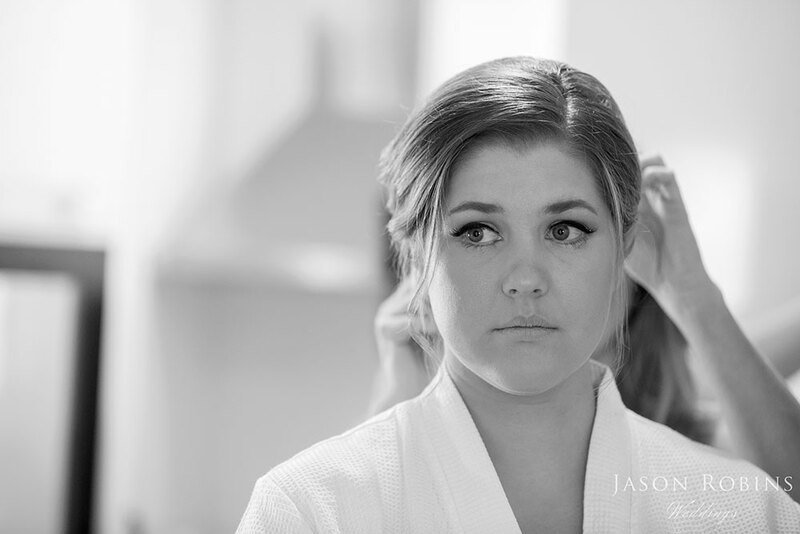 After the ceremony, our wedding party parted from the guests to allow Jason to capture some fantastic shots. 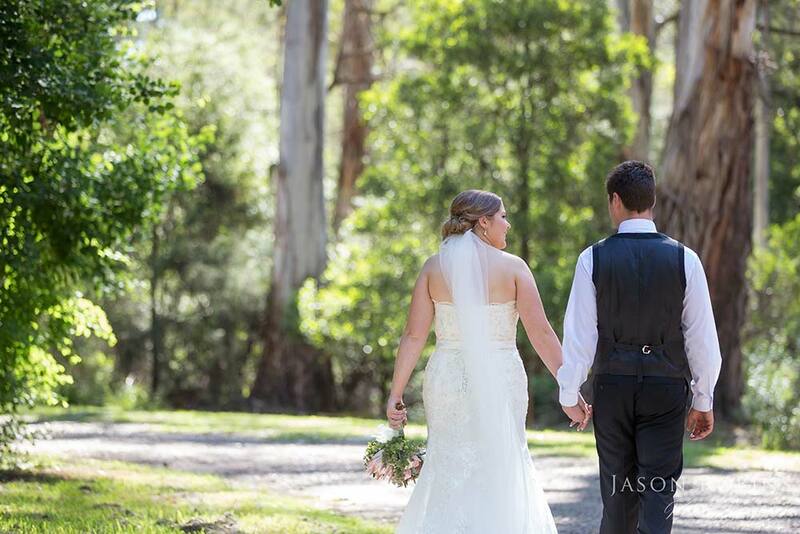 Peter and I didn’t hesitate to choose Jason as our photographer. 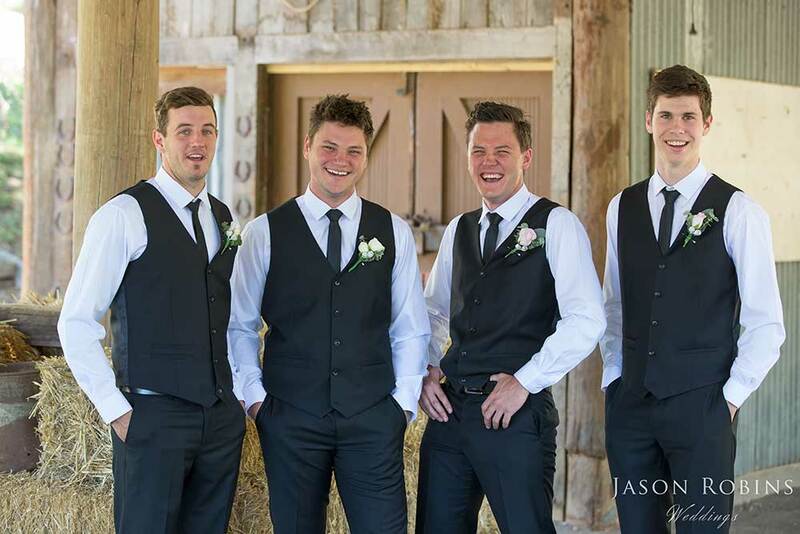 There wasn’t one person who didn’t approach us after the wedding to compliment his work. 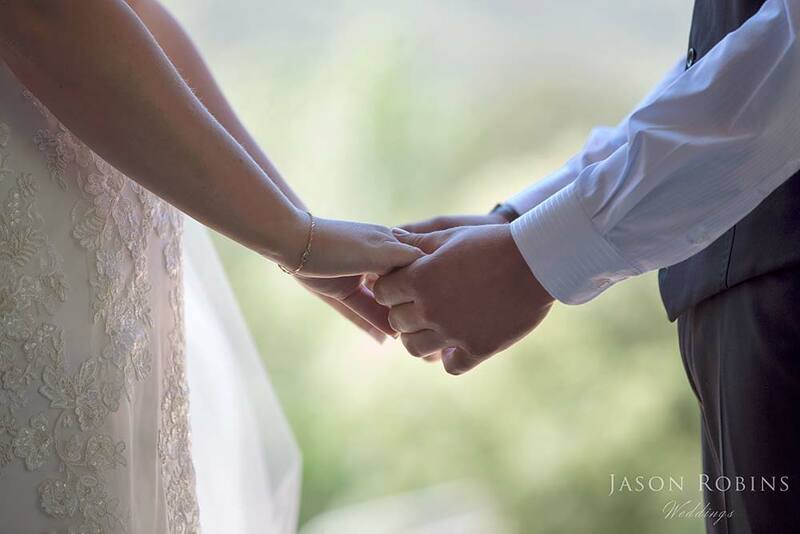 He allowed me to relax and embrace the whole day. 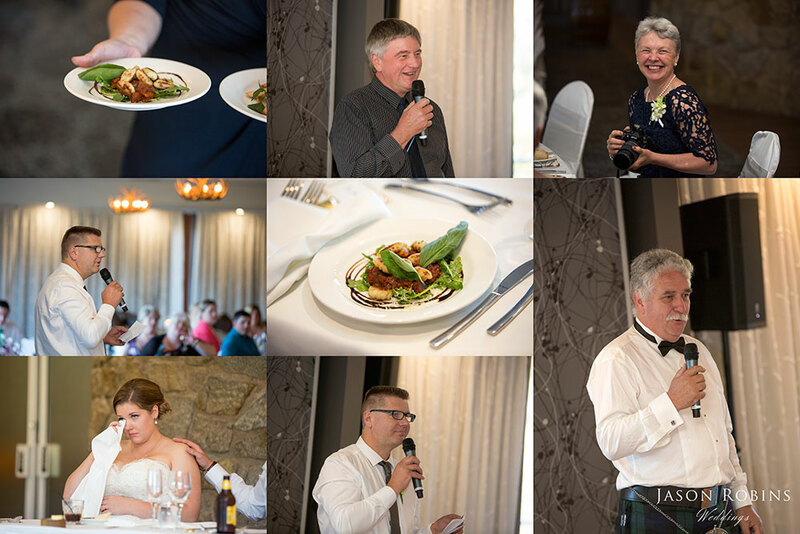 The reception commenced, complete with all the formalities and a ripper of a night with our beautiful families who had just merged into one. 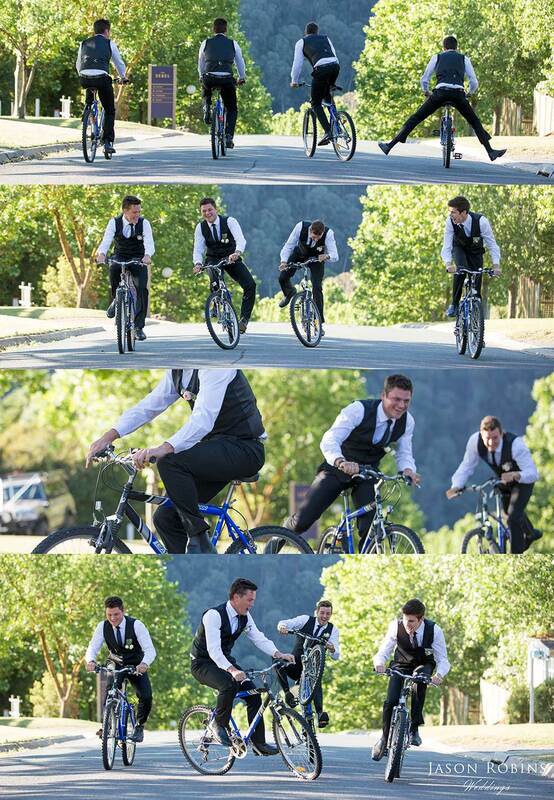 Our cheeks were hurting from smiling so much, but how could you not? 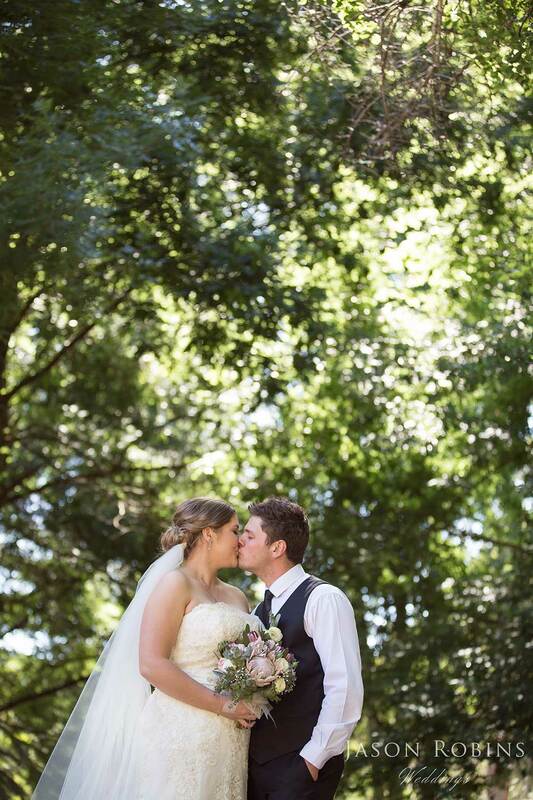 It was the best day we could ever have hoped for. 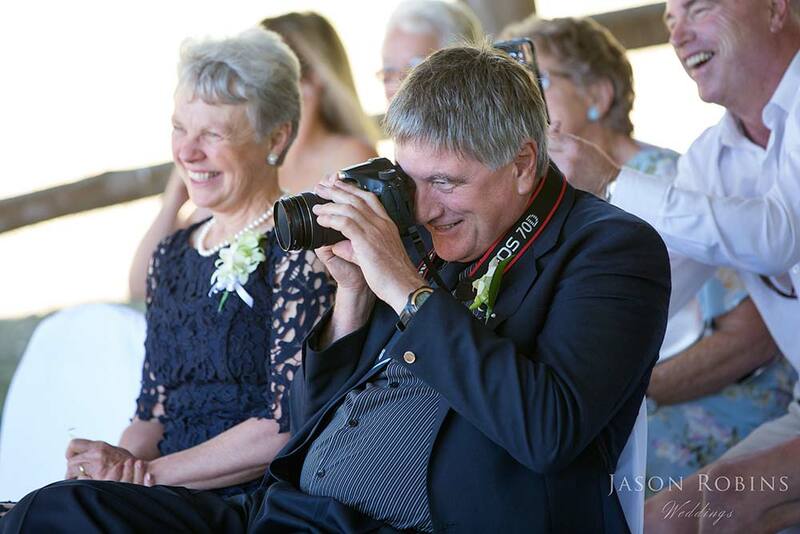 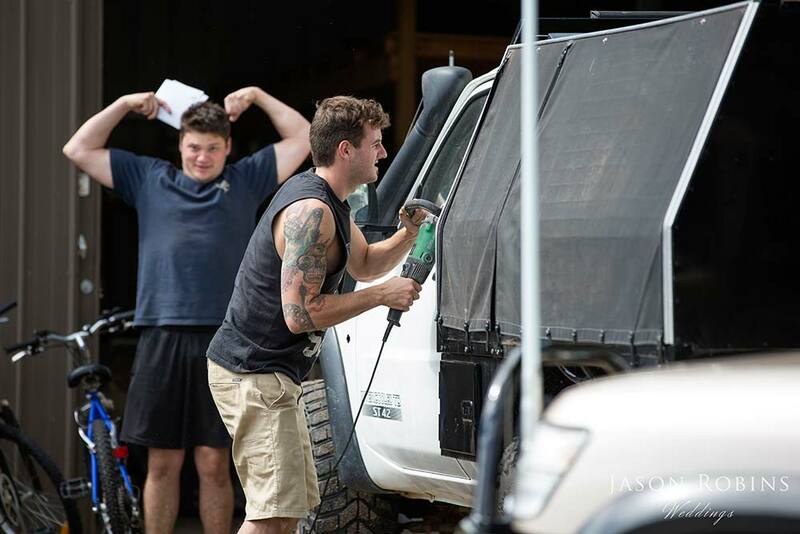 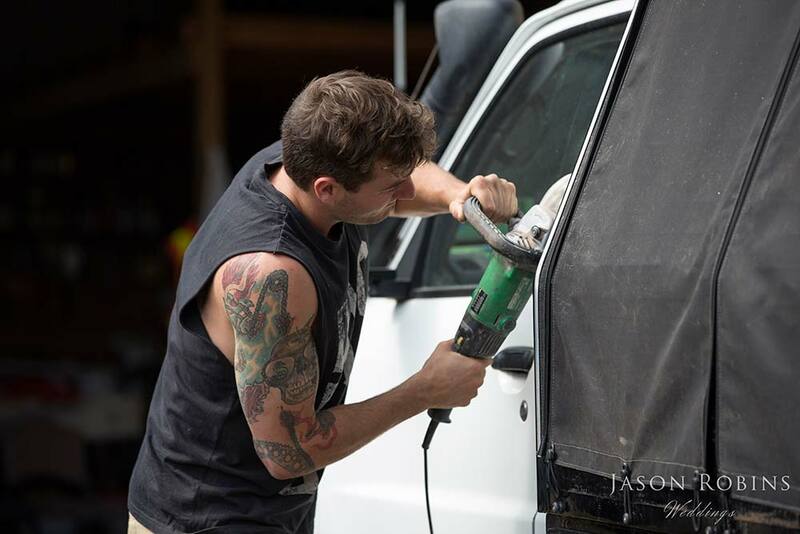 And we have Jason to thank for capturing it all.